The Angel Capital Expo provides a unique format for invited investors and breakthrough startups to network, collaborate and forge business relationships. Keiretsu Forum Mid-Atlantic to host Matthew Le Merle to speak to Blockchain Technologies and emerging investment opportunities. PHILADELPHIA, September 18, 2018 – Matthew C Le Merle, co-founder and managing partner of Fifth Era and Keiretsu Capital, will discuss investment strategies for blockchain technologies, crypto-assets and other disruptive innovations on Wednesday, Oct. 17 at the 6th annual Angel Capital Expo being held at the Union League of Philadelphia. The day-long Expo is the premier angel investor event in the mid-Atlantic and also will feature 12 innovative entrepreneurs presenting high-quality, diverse investment opportunities in sectors including technology, healthcare / life sciences, consumer products, energy / green technology, and telecom. Le Merle is an expert on corporate growth, innovation and business transformation, advising leading companies and sovereign and regional economic entities across the globe. Earlier in his career, he spent more than two decades as a strategy, operations and corporate finance advisor to Fortune 500 CEOs, boards and executive teams. He has held advisory and leadership positions on many corporate boards, including serving as chairman or non-executive director for 14 companies. He is an adjunct professor at Singularity University and holds degrees from Christ Church, Oxford and Stanford University. In 2017, the Chapter received 345 entrepreneur applications and members provided funding to 57 companies with over $7.5 Million invested. The Angel Capital Expo provides a unique format for invited investors and breakthrough startups to network, collaborate and forge business relationships. This year 10-12 entrepreneurs will present to more than 250 accredited angel investors with the hopes of securing future funding. Each presenter is pre-screened by a select committee of Keiretsu Forum members and Due Diligence Fellows, and coached on their presentation in advance. The top presenting entrepreneur, as voted on by attending investors, will receive the Stephen M. Goodman Most Valued Company award. Named in honor of one of Philadelphia’s most celebrated attorneys, Goodman began working with early-stage companies in the late 1960s and throughout his career became known as the Godfather of Philadelphia startups. 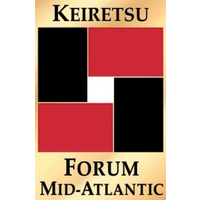 Keiretsu Forum Mid-Atlantic is part of Keiretsu Forum, the world’s largest and most active investment community of early-stage angel investors. Founded in California in 2000, Keiretsu Forum now includes 53 chapters on 3 continents. For more information about Keiretsu Forum Mid-Atlantic of the 2018 Angel Capital Expo visit www.keiretsuforum-midatlantic.com.